The move comes a day after the Delhi government ordered a freeze on the funding of the 28 colleges following the varsity's failure to constitute Governing Bodies (GBs) for over 10 months. 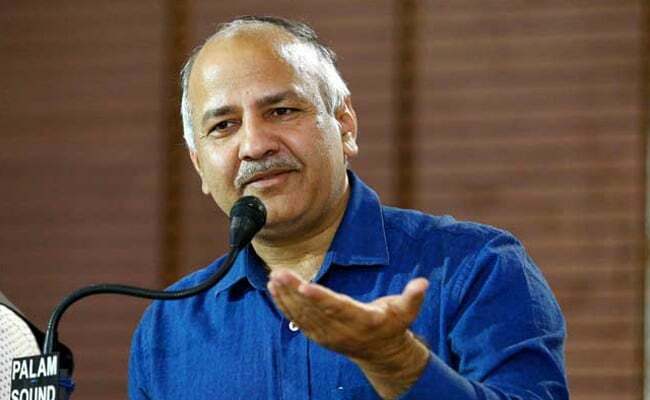 New Delhi: Deputy Chief Minister Manish Sisodia today wrote to CAG demanding an audit of 28 Delhi University colleges, wholly or partially funded by the state government, after receiving complaints of corruption against them. The Delhi University (DU) teachers, on the other hand, have written to Vice Chancellor Yogesh Tyagi, urging him to complete the GB formation process so that students do not suffer due to funds freeze. "Have written to CAG asking for comprehensive audit of 28 Delhi govt funded colleges, as I've received many complaints of corruption. "28 colleges need CAG audit as there are complaints of corruption; with no Governing Bodies for 10 months, there's been no oversight," Mr Sisodia said in a series of tweets. Mr Sisodia, who is also the education minister, said, "It seems governing bodies have not been formed so that corruption and irregularities can go on. Public money cannot be wasted like this". He also posted a letter from BJP MP Udit Raj on his Twitter handle, complaining of alleged irregularities in appointments to government funded colleges. A college's governing body comprises 15 members, out of which five are nominated by the state government. The body is responsible for taking several administrative decisions. Out of the 28 colleges, Maharaja Agrasen College, BR Ambedkar College, Deen Dayal Upadhyaya College, Keshav Mahavidyalaya and Bhagini Nivedita College etc are wholly funded by the Delhi government. The College of Vocational Studies, Rajdhani College, Shivaji College, Motilal Nehru College, Aurobindo College, Kalindi College and Shyama Prasad Mukherji College are among those partially funded by the state. "The university is in the process of completing the formalities and soon the bodies will be formed," a senior DU official said.